Thread: New piece exclusively available as free download!! Not only is this version encoded with a much higher bit-rate (320 vs 128 kbps) but it has also been re-mixed and re-recorded with greater dynamics and clarity so what you hear is exactly as it sounds in my studio when I composed »Far Away«. Note to Mac-users: The MP3 download is 100% compatible with Macs and iPods! The only incompatibility on the music store is the 30-second samples, which currently does not work on a Mac. Instead I recommend you download the free version as a "sample". I just finished revising a piece I composed about 6 months ago. The sound and arrangement/orchestrations has been improved, and now I have decided to post the music here exclusively for free download! The piece is called »Far Away«. It's highly inspired by drama/action/sci-fi "film-scores" and composed and recorded 100% in my own studio using mostly electronic instruments (but also some "acoustic" instruments such as an "Irish Pennywhistle"). I hope you enjoy this music, and as always, comments are most welcomed! Re: New piece exclusively available as free download!! 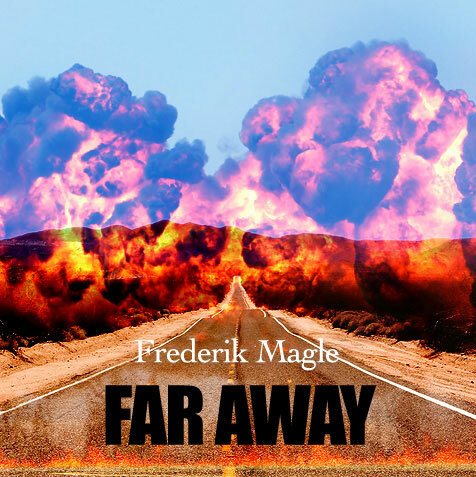 It leaves Me wanting MORE....It Certainly Does Show The Brilliance of Frederik,in His ability to Work in Different Styles of Music. Well Done.!!!!! pamadu/Paul. Spændende... - hvad består dit eget "studio" af? - hvilket software/hardware bruger du til sådan noget her? sequencer? noget andet... har du mulighed for at lave noget pdf-lign. partitur af noget af dine værker som man måske kunne komme til at se nærmere på? I hope you don't mind that I reply in English in this thread, Corno. I primarely use a midi-sequenzer and audio (recording/editing) application called "Logic Platinum (6.3.1)" running on an Apple PowerBook G4 (with Mac OS X 10.3) with two external (1/2 terabyte) FireWire disks for the audio files and backup. For use with Logic I have a collection of plug-ins and software synthesizers. I also have a Hornung &amp; Møller Grand Piano, a Yahama Digital Piano (P-150) and several Roland synthesizers and sound-modules. I mainly used Audix microphones for the recording of the "acoustic" instruments. When it's time to mix, I have several good effects, amongst them a T.C.Electronics Finalizer (96K) and M2000 reverb. I have more equipments than that, but this is the most important for this production (Far Away). Absolutely, I am thinking about uploading the scores of "The Hope" and "Phoenix" and will let you know here, when it's ready! Ok, so the entire score is set up in Logic? or do you use another program for making your score? - I personally use Finale and Sibelius for notetyping purposes. - I had a brief interaction with a light version of Logic once some years ago, but haven't used it much. I gather there must be a whole lot of setting up such a sequencer to get anything worth listening to. 2 1/2 terabyte disk... that sounds like an awfull lot, but ok... it's maybe not what's required for work with harddisk recording and sequencing programs, or? I'm looking forward to the pdf's. still planing on making some pdf files? Jeg var lige inde på din hjemmeside - www.magle.dk og fandt nogle links til nogle pdf-downloads.... - ehm... hvilket nodesætningsprogram bruger du? jeg må indrømme at jeg synes det ser lidt gnidret ud noget af det - sammenfald af takttal, noder, pedal anvisninger, fortegn og lidt af hvert... - altså.. det er da helt klart læseligt... men ja, som nodeskriver så kom der lige lidt "nodeskrivnings-kritik" op i mig - og så var jeg blot interesseret i at høre hvad du brugte af software til dine noder? Problemet er at jeg har arbejdet med mit nuværende nodeskrivningsprogram (Logic) i så mange år at det vil være et betydeligt problem for mig at skifte til noget bedre (som f.eks. Finale eller Sibelius) nu. men hvis det er så må du jo sige til... så må vi jo kigge på sagerne - nu er det jo ikke sikkert at det økonomiske problem er så stort igen... det afhænger som sagt af en hel del. Det er jo meget rigtigt hvad du siger. Og rigtig glædelig Jul også til dig!! Glædelig jul (og godt nytår hvis dette bliver sidste skriv i dette forum i år). I just listened to "Cantilena" and "Far Away." Both are gorgeous pieces. Can you let me know when/if you will make any of the organ scores available for purchase? All times are GMT +2. The current date and time is Apr-26-2019 06:26.